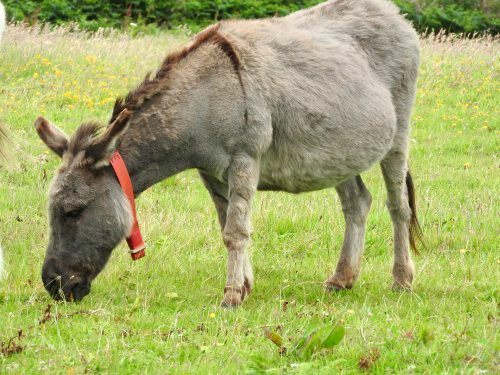 ​Sable is a beautiful, black nosed Sicilian miniature donkey... she was seized at an animal market by the authorities after being shipped from the US to the UK to be sold at auction for, undoubtedly, becoming a breeding machine. Sable is a gorgeous little donkey, very quiet and gentle, who now lives a relaxed life in her group of ‘oldies’. She is closely bonded with Acorn and panics if she's ever out of sight. Such a precious tiny donkey; we just want to wrap her up in cotton wool...!